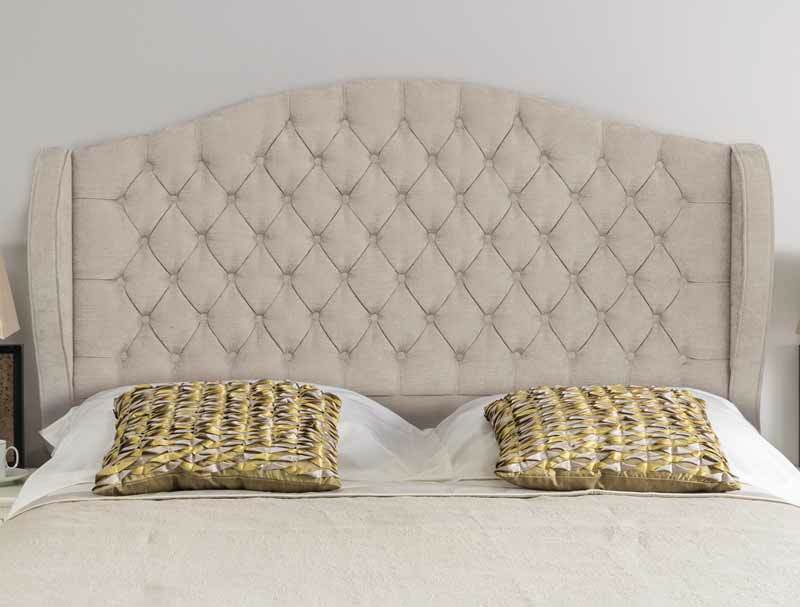 The Venice is a super new floor standing fabric headboard from Swanglen that is buttoned with queen anne style and has winged sides to offer a very luxury styling. Winged headboards are very popular with many leading bed makers like Hypnos or Relyon producing there own range of upmarket statement style headboards. 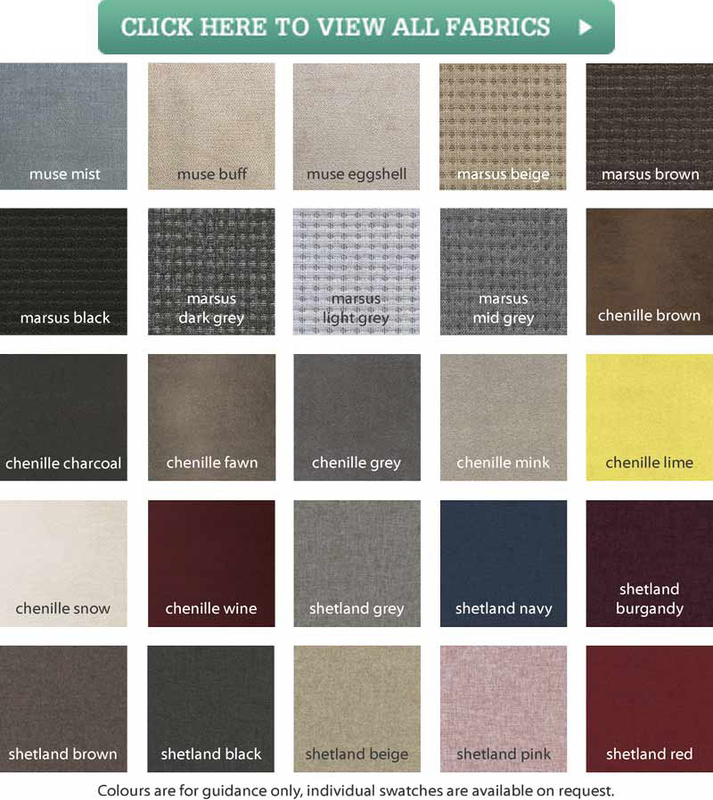 The Venice is available in a range of high quality fabrics from Swanglen , fabrics like Muse chenille, Marsus modern weave, plain chenille and Shetland wool look soft touch fabrics. The Venice heaboard is 52 inches 132cm tall at its highest point and 9 inches or 23cm deep including the wings.